Every cat caregiver wants their kitten to be healthy, well fed and happy. For that reason, there are some debates between feline lovers regarding the right choice of wet food for their kitten. Feeding your new kitten species-appropriate cat food with high ingredient quality is key in the sense that your kitten needs those healthy fats, vitamins, fibers and proteins in order to gain weight and build its Muscle tissue and keep up with its amazing energy levels. Canned, Soft & Wet cat foods come in many varieties, are made in different ways and from different ingredients. kittens may react in differently to multiple types of canned food. To date, pretty much all Veterinarians say the same thing – feeding your kitten with quality wet cat food together with healthy dry food meals is key to a well balanced diet. As far as dietary and nutrition feeds are concerned, wet food is considered healthier and contains more nutrients than the typical dry food. According to many specialists, there is a high correlation between pet disease and by-products in cat food, so when deciding what to feed our beloved cats, we should carefully consider our options. With that being said, we went out and did a whole lot of research to bring you our top 10 best wet cat food for kittens. Pleasant odor when opening the can, does not have any bad smell. 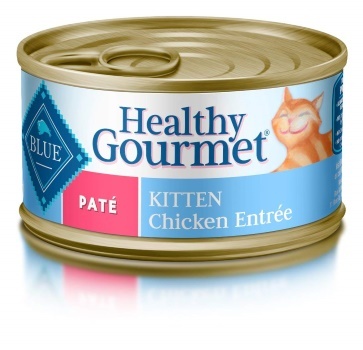 A healthy choice for your kitten, Blue Buffalo Healthy Gourmet Kitten Chicken Entree is made with high quality ingredients and is perfect for a young kitty.With 122 calories in every 3 oz can, this food is exceptionally calorie-dense. 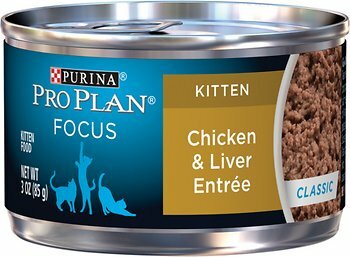 As evidenced by the inclusion of chicken and chicken liver as the first two ingredients, it contains a respectable quantity of the animal ingredients that your kitten needs. This great tasting food has a very nice and flavor-rich variety. All natural and grain free, this product is good for helping those kitties that don’t drink enough to stay hydrated. This food doesn’t contain lots of gravy so no funny oozing when opening the can. No grain, gluten free, and meat by-product free. Some cases of packaging arriving damaged. This recipe created by Wellness contains an easily digested protein and grain free formula. Wellness is proudly made in North America, under the most strict quality and sanitary standards, and is also backed by the Wellness guarantee. 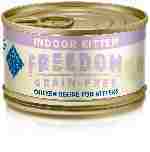 One of the best canned cat food for cats with constipation. Provides balanced daily nutrition for your cat. Ingredients include pieces of shredded chicken, and it doesn’t have any meat by-products, soy, corn, or wheat. In the past, there were a couple of incidents reported in which bones and scales where found in the food. Today, this seems to have been only a temporary problem. For cat caregivers who want to feed their purrfect feline friend a grain and gluten free diet. 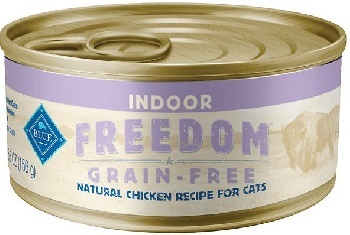 This Blue Buffalo Freedom Recipe is made with the best natural ingredients chosen specially to meet the special needs of indoor cats. Another nice thing about this product is that it contains cranberries, which are great for cats with urinary tract problems. 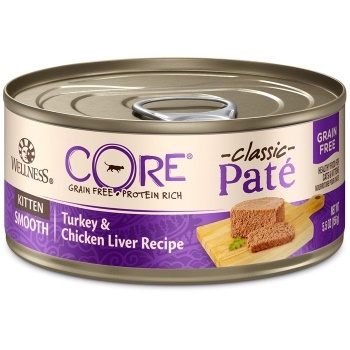 The pate texture of this food makes it a good choice for older cats who have weaker teeth and may need softer food. Contains High-quality protein from shredded chicken breast. Made with extra care in maintaining natural chicken flavors. Supplemented with other vitamins and minerals to improve its nutritional content. Low iodine content, good for hyperthyroid cats. Contains carageenan which can irritate cats with sensitive digestive systems. Not recommended for diabetic cats, as can cause some weight gain. One of the cool kittens on the block, Nulo Cat Food is picking up popularity and fast. With top notch ingredients such as turkey, Chciken or dark meat from tuna. These lean cuts and muscle meat products are super rich in flavor! 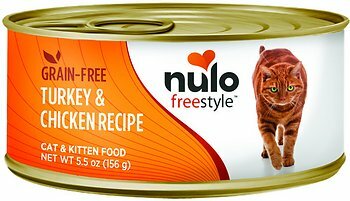 All of Nulo’s Cat Food Recipes are formulated to meet the nutritional guidelines established by the AAFCO Nutrient Profiles for Adult Maintenance. All-Natural ingredients, packed with high-quality protein from super lean and clean meat cuts. A few customers mentioned that there is very little chicken in the can. Strong smell, not for all cats or cat owners. With small bite-sized pieces and a variety of slow-cooked flavors, Purina’s Fancy Feast is a wet food that pleases most cats. 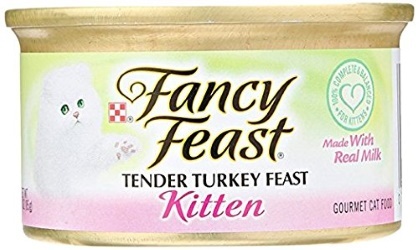 This product has the tastiest flavors that cats always end up loving, and comes in a great combination of chicken, turkey and beef. 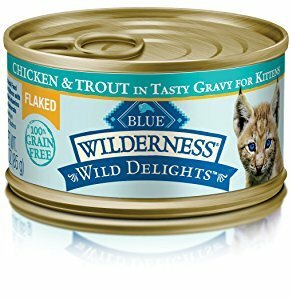 Especially recommended for those felines that love wet foods with juicy gravy. Slow-cooked to bring out more flavor your kitten will enjoy. Goes great when mixed with dry food. 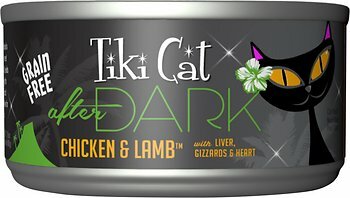 The wet juicy gravy will mix with the dry products for a great textured feast for your cat. Texture is a bit solid and is less suitable for kittens who prefer soft textured foods. Some flavors (not all) contain artificial flavorings and some meat by-products. This product is highly recommended for general wellness maintenance. It is also great if your cat is diabetic or suffers from any other serious health condition. 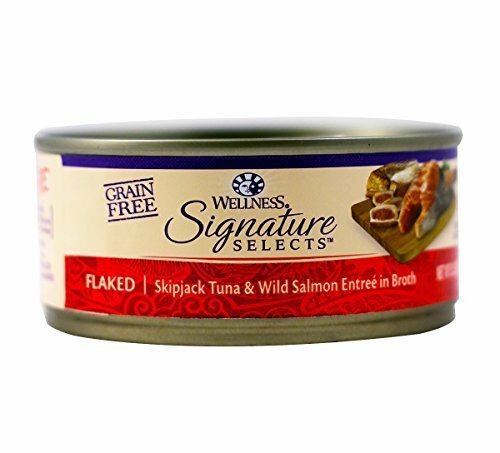 The main thing cats love about this food is the big chunks of tuna / seafood. This will give you piece of mind that you are feeding your cat with high quality protein and not some unidentifiable mush. The essential ingredients include: Tuna broth or chicken, Sunflower seed oil, Vitamin E, B12, B3, D3 and A supplements and Folic Acid. Grain-free, light gravy and gently cooked. 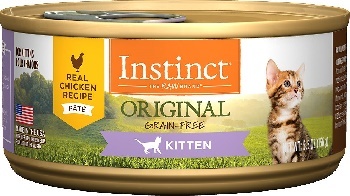 Good for those felines who don’t like lots of juicy gravy with their food. Return policy states no returns which is a risk. Why Is Quality Wet Food Essential For Kittens? Wet or commercial raw food, with its approximate 70% water content, can deliver the moisture that your kitten needs to stay healthy. High-moisture foods are also more satiating and help your kitten to stay slim and feel less hungry. High level of carbohydrates can result in obesity as well as other health issues. Wild cats can survive harsh conditions and withstand different medical conditions. Domesticated cats, however, will usually have less resistance to harsh conditions and infections that can result from poor nutrition. This requires you to feed it with a well-balanced diet, which makes canned food ideal as a key ingredient in your kittens nutrition. Rich foods won’t keep your cat full and can lead to blood sugar spikes and fat accumulation. Instead of picking the first low-calorie food designed for indoor cats, the best approach is to seek out a high quality protein, nutritionally-dense food and serve it in controlled portions. What should you consider when shopping for wet canned cat food? The ingredients Matter- Wet food should contain one or more types of high quality protein, which will be the main ingredient in your kitten’s diet. Stuffing canned food with artificial flavors, meat by products, starches and fats or fillers will provide a very unbalanced meal for your little feline. Feeding your kitten with the best food suited for it and maintaining a well balanced diet will require you to check what the cat food you buy is made up of. Artificial preservatives- As much as you value a dietary meal for your cat, you should ensure that you purchase the food that lacks corns, soy and wheat substances. These substances are only meant to increase the quantity of the food but have no nutritious features. You should avoid buying foods bulked up with wheat flour and grains as much as possible. Click here for a list of the best grain-free cat foods. Choose quality over quantity- While buying your cat’s food, you should consider smaller cans of food rather than one big container. If you have a small kitty, you might find it uncomfortable using the large cans, while larger cans could be better for larger cats. It’s usually advisable to buy food in many small cans than in one big can, so that it stays fresh as long as possible. Cost and Budget – If you can afford to buy premium cat food, you should do it when you’re certain you are getting the best product possible (even though sometimes, expensive doesn’t necessarily mean good. You should always read the labeling carefully). However, if premium cat food is an issue due to budget constraints, you should ensure that you purchase a little amount at first, to make sure it suits your cat, and only then buy in bulk. Better food may be more expensive, but it will save you a ton of money on your veterinarian bill, due to poor nutrition. Finally, wet and soft foods are considered a key part of your kitten’s nutrition no matter the cost. Quality standards of manufacture should be considered over the quantity. 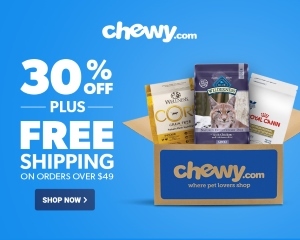 Just follow our review, and this will ensure that your cat gets the food it prefers and to which it could get used to easily. Also, check out or review for the best high protein low carb canned cat foods here. Your cat’s health will improve greatly and your cat will love you for it! Wet cat food is good for kidney and urine problems and helps to rehydrate your pet. Thanks for the awesome post.